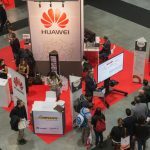 With each passing day it is becoming clearer that we are reaching the end of the first generation of the Chinese information technology business. It's not just WTO and globalization and the growing power of international companies; something far more subtle — and far more meaningful — is taking place that will define who lives and who dies in the Chinese technology business. China's technology firms are reaching corporate puberty. And puberty, for those of us who faced it without the aid of chemicals, is ugly. Technology stars like Legend, Founder, TCL, Sohu, Sina.com, Netease, and the other firms who have boldly led China into the information age have built great success, in many cases against tremendous odds, and have become the core of the country's ambitions to be a global player in technology. In each case, they have leapt ahead of a pack of competitors either because they refused to stick to their core business, or because they understood that what they were good at had little or nothing to do with their primary industry. The conventional wisdom in modern management that urges companies to focus on what they do best is, with respect, extremely US and Europe-focused. Most management gurus don't get what is happening in China, and don't think about China when formulating their theories. Applying mature market thinking in a developing market misses the point. History is replete with examples like this. The US railroads figured they were in the railroad business, rather than in the cargo-and-people transportation business, so airlines and long-distance trucking companies are making money today and railroads in the US are hauling commodities, coal, and trash. The merchant steamship companies around the world made a similar goof about the airlines. Western Union blew it by not getting out of the telegraph and going into telephones, Smith-Corona by not leaving typewriters and making computers, etc. etc. All of these companies missed out by focusing on their "core business," thus missing the business they were actually in, and have surrendered their leadership as a result. "Look at Starbucks in China," Steve Schwankert of ChinaBuzz pointed out, "they know they aren't in the coffee business. They rent short-term office space in return for the price of a beverage and a snack. The coffee is at best an attraction, a convenience." And of course, he's right. Most Starbucks in Beijing fill up daily with either small groups of people holding meetings, individuals working on laptops, or people seeking (in one way or another) to network. The coffee is simply the excuse. In strategically selecting locations, providing comfortable furniture, well-placed power outlets, and wireless broadband access, they haven't been concentrating on making a better cup of coffee, but the business grows. Johnny's Coffee, which produced a much better cuppajoe, discovered that in China at least, just being a purveyor of ground-bean strained water was not enough. Lenovo (nee Legend) dominates the PRC personal computer market not because its machines are qualitatively that much better or that much cheaper than the competition. You can buy better, and you can buy cheaper. Lenovo is not in the computer business, and if asked their marketing executives will tell you as much. Rather, as evinced by their "1+1" stores, user-friendly packaging, and engaging design, they are in the business of making information technology safe, easy, and accessible to a whole lot of people who might otherwise never buy or use a computer. HP is belatedly learning that here in China, but a host of other competitors have consistently seen themselves as computer companies, and have languished, despite making pretty good machines. If Lenovo takes the same approach to mobile telecommunications as we move to 3G, Nokia, Motorola, and Ericsson have a lot to worry about. Sina, Sohu, and Netease are still standing because of a wily willingness to figure out what each did best. The Three Chortals ignored the conventional and wobbly definition of what a portal should be, and realized that what they had to sell was the trust and familiarity that they had built up with Chinese Internet users. Aggregate all the content that you want: if the locals don't believe in you and see you as totally relevant, they'll happily go elsewhere, and take advertising dollars and other revenue streams with them. Chinadotcom, anyone? I could go on, but you get the point. The Chinese tech firms who are really in touch with where they really deliver value have a chance at surviving. The next question: how do these firms define their value to a global customer base? Silicon Hutong is an ongoing series of thoughts and commentaries by David Wolf, President and CEO of Wolf Group Asia'a management advisory firm providing strategic communications counsel to technology, media, entertainment, and telecommunications companies in Greater China and the Asia-Pacific region. David's opinions are his own and do not reflect those of either WGA or it's clients. Past articles can be found at www.chinatechnews.com, the Silicon Hutong Blog can be found here and David himself can be contacted at [email protected].